Awakening is recursive. In Ashtanga Vinyasa Yoga, the breath leads the body in a sequence of memorized poses (asanas), the yogi comes to the mat daily to practice that sequence, and the teacher offers additional asanas one by one as the student is deemed ready. In this style of yoga, the wisdom in the dynamic, conscious repetition is that it is never truly repetition, but rather an energy of awareness that reverberates in a folding and unfolding. The awakenings that develop repeatedly fall back to sleep, only to be revived when the student returns to the breath and to the spirit of the practice. Ashtanga is a 6-day-per-week, early-morning practice. There is no practice on Saturdays, New or Full Moon days, or during Lady’s Holiday (the menstrual cycle). On all other days, there is practice. Gurujii used to say that family life is 7th Series. After practicing Ashtanga for many years with beloved teachers, I returned to school full-time to study nursing and nurse-midwifery. In my previous career as a professor, I could connect with my children before leaving for the shala; but my new nursing school schedule meant earlier morning classes, and I could not bring myself to go to the shala in darkness without bonding with my small children at the beginning of the day. The choice was as natural as the commitment to practice itself had become. And so, my practice is now self-led at home, where I place my mat right in the middle of the morning’s motions—roll it out, chant, begin. From my mat, I watch my little ones eat breakfast and wiggle into their day. In the 90 minutes that it takes to move from first asana to last, I negotiate the breath and body while wiping a nose, relaying a reminder about putting one’s bottom in one’s seat, snuggling, settling a dispute. My partner moves through the space between kitchen and table, in charge of the morning’s routines while I practice, and the breeze of the back-and-forth is ever present. On some days, it feels especially challenging to work around obstacles like sickness, interruption, stiffness, soreness, or stress. But the difficulty works with and through the soul, and I strive to rest in that difficulty. In this contested space, I do the same asanas I have been doing for years, and each asana is a new iteration because change has occurred in each one of us. This practice is “mine”—it happens to my body, my mind, and my soul. 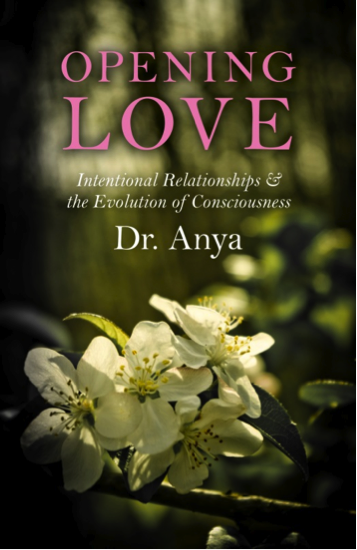 But the awakening that emerges—so unlike the one before it—is a synergistic event in which I become more aware of my pain and fear, my purpose in my world, the ever-developing energy of my children, the inspired growth of my partner, expectations, presence, memories, sensory connections, fatigue and renewal, will, and love. Although I have much to gain when I reconnect with a teacher in the shala, my practice in my home amid stormy, delightful family forces is also a powerful teacher. The noise in the mind is as loud and incessant as torrential rainfall. In this yoga, we move with the audible ujjayi breath from asana to asana, choosing to devote our attention to the breath and away from the mind noise. The asanas ask us to develop comfort and calm in the challenge of discomfort—to find opening in the body as we breathe through struggle, fear, and the egoic joy of accomplishment. The practice offers a way through darkness. The series is a dense forest, with gnarly roots, creatures known and unknown, patches of clearing, the sound of adventure, and the ache and vulnerability of getting lost. With its spirit of healing and inquiry, the practice has accompanied me off the mat through childbirth, relationships, parenting, decision-making, anxiety and depression, work. It has light and lightness to offer in exchange for a deep commitment, even when doubt persists. The body opens, the mind’s Watcher witnesses, and awakening occurs. No two humans in the same asana experience revelation in the same ways—and yet, the connection is there because revelation is happening and we honor the breath that keeps us alive. Not only do we realize that we have strength in the arms, legs, and belly, but we see how that strength—and the calm that accompanies it—radiates through us and into the lives around us. The deep awareness that grows in awakening leans toward peace and humility, and into fierceness of compassion. The asanas become a practice of faith that we vow to continue, and the challenge of maintaining that practice presents resistance that we decide to overcome. When we move through struggle, we see possibility and hope. As we bend, we listen. As we experience lightness, we offer light. Beginning the day in a conscious nexus of mind, soul, and body is not an inoculation for what is to come—it is a heartfelt immersion in being. In our humanness, we connect; in our connection, we transcend our humanness. Rebecca Ingalls, Ph.D., BSN, RN, is a former Associate Professor of English, and is now a registered nurse and a nurse-midwifery student. She is a mother of two, and she has been practicing Ashtanga for nine years. She lives with her family in Philadelphia. Previous postBe The Ultimate Rebel—Meditate! Wow thank you so much for this post, it was absolutely beautiful and inspiring. Thank you so much for reading 🙂 Your feedback is generous and kind.